Step onboard for a very special luncheon. Experience the incredible hospitality of Holland America Line and the Vancouver Symphony as they present a gourmet four-course lunch with wine followed by a private performance by VSO musicians. Join us at the 30th Anniversary Vancouver Symphony Ball. A once-in-a-lifetime celebration not to be missed! 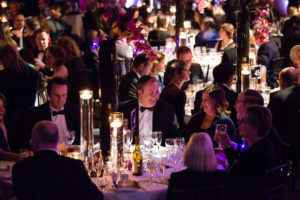 Our 2019 Ball celebrated the VSO’s 100th Anniversary Season and raised $930,000 to support the VSO and VSO School of Music’s performance, education and community engagement initiatives.